The amount of Rs 55 lakh is today’s buzzword in the entertainment industry, and it’s all because of Katrina Kaif! The diva has been making waves for her look in her upcoming film Fitoor. The red-haired look of Katrina in Fitoor really stood out in the posters and trailers, and the same is now being talked about for the amount that was spent in maintaining it! 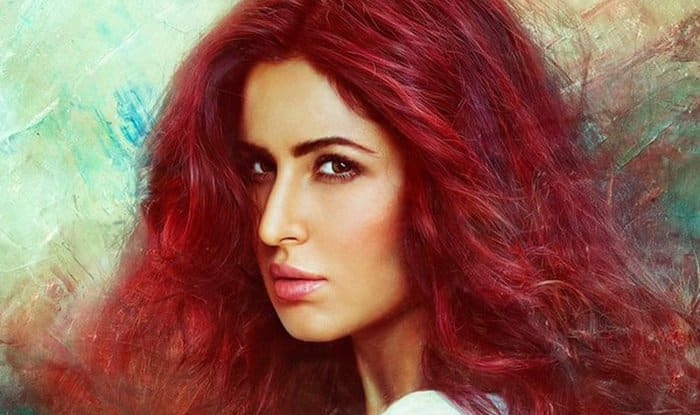 Apparently, the red hairstyle of Katrina cost Rs 55 lakh! How is that possible? Is any hairstylist or studio that expensive? Here’s the full story. Director Abhishek Kapoor needed a specific red colour for Katrina’s hair in Fitoor – maybe to match with the Chinar leaves in Kashmir, where the film is based. So, the style team of Fitoor hired a hair colour expert in London. So, how did it cost Rs 55 lakh? A report in DNA says that in order to maintain the brunette look of Katrina, the actress had to fly down to London every month. Apparently, the right colour correction was required to maintain continuity in the film. Obviously, flying there for a film’s job to be done is the producer’s cost. And if it’s first class tickets to London every month, they do come expensive, you see. Plus, reports say that although Katrina has family in London, she was staying in five-star accommodation and the producer of Fitoor had to bear the hotel expenses! So there! That explains why Katrina Kaif ended up being more expensive for Fitoor than what her fee for the film might be! All we would say is, thank god Aditya Roy Kapur’s curls were not coloured red, too! As for Katrina, we wonder she didn’t hire a L’Oreal Paris expert in India itself – a brand she endorses along with Aishwarya Rai Bachchan and Sonam Kapoor. That would’ve been cheaper and better! We now really wonder if the Rs 55 lakh kharcha on Katrina’s hair was done on L’Oreal Paris hair colour! Do you have any idea?